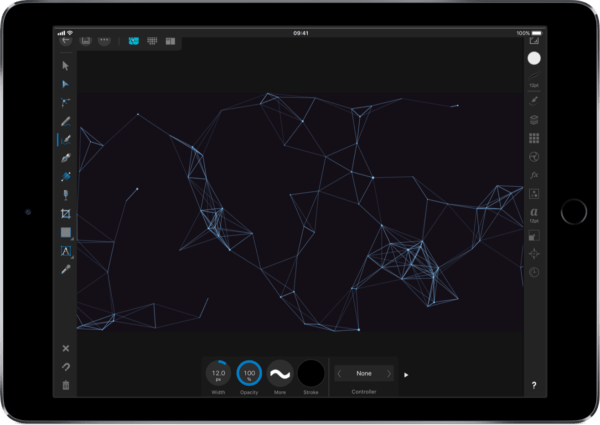 One of the best design tools you will find on macOS has just been released on iPad. When the iPad Pro line was updated last year, one of the most significant software developments was the excellent desktop class photo editing app Affinity Photo. It's been on my list of best apps ever since. The follow up to that release, Serif's Affinity Designer means professional graphic design for iPad. If you're looking for a desktop class design app for iPad this is worth a look. Design tools rarely make sense to me on the desktop. I have never quite grokked Adobe’s PhotoShop, or Illustrator. For my modest design needs I muddle through best as I can, but I undoubtedly prefer more accessible software. Flying Meat’s Acorn opened my eyes to powerful simplicity, then being able to move between devices made Pixelmator my app of choice. 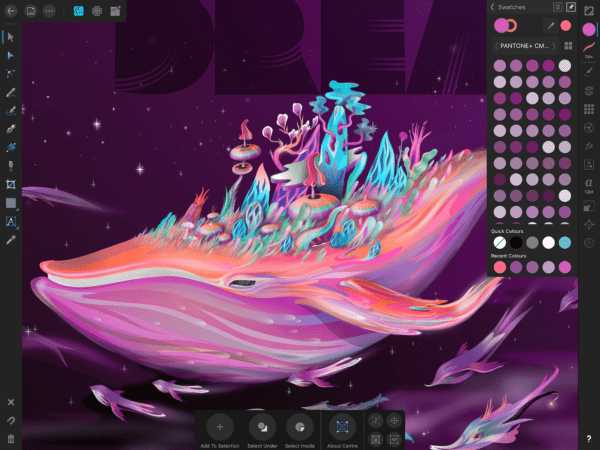 The recently released Pixelmator Pro is a worthy addition to any design toolset, but it has left the iPad version languishing behind . The lack of relative feature parity betweens apps on Mac and iPad remains a stubborn barrier to realisation of the tablet’s potential. We still see a lot of minimal, companion style versions of Mac apps on iOS. With the direction of development, ironically, Apple's forthcoming cross platform UIKit Framework 1 says more about macOS at this point. Something that is clear, however, is the iPad simply makes sense as a design interface. Direct and tactile manipulation of images removes a layer of abstraction and — at least in my experience — makes it easier to learn the required interactions. At the moment, Serif is relatively unusual among developers for their treatment of iOS as a serious professional platform equal to macOS. In the design space, the Affinity is suite is currently peerless as a result. Designer is a whole new level for graphic design software on iOS. From sketching, to fully realised vector tools and UI design, with everything in between. Even with modest needs, having access to such an intuitive professional app makes learning faster and more enjoyable. Graphic design software is traditionally expensive too, and while some of the apps I have mentioned buck that trend, both Affinity apps are significantly cheaper on iOS. Even more so while the 30% discount is available for Affinity Designer's release. This might be an aspirational purchase for me, but for somebody with actual design skills wanting to do professional work on iOS, it's a no brainer.